BoomTown Integrations - BombBomb, dotloop, and more! Say goodbye to logging into several systems and re-entering the same data. Integrations allow you to connect select partners to your BoomTown system, so you can work across your entire arsenal of tools from one central command center. Introduce yourself with video email using BombBomb. With this integration, you can embed video content into your marketing materials and when you communicate to leads individually. 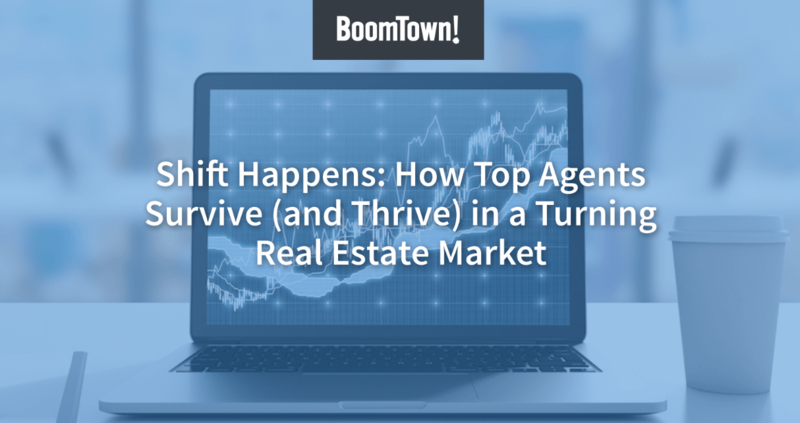 Sync your transactions and leads from BoomTown to Brokermint. The integration creates transactions automatically so you can start working on documents and commissions in Brokermint back office. Turn inbound calls from signs and advertising into new lead sources with CallAction. Automatically send those leads to your BoomTown CRM, where you can nurture them throughout the buying process. Sync your transaction data from BoomTown to dotloop. Our integration allows you to start a “loop” on a client’s profile, so you can get all your forms and papers signed seamlessly. Schedule your appointments and to-do’s on Google Calendar. Just set up a to-do inside BoomTown’s CRM and we take care of the rest. Prospect faster than ever before with Mojo’s phone dialer. Select a lead list inside BoomTown and let the dialer call up to 300 leads per hour. All the activity is automatically logged. Access RPR’s expansive database of property information with one click in BoomTown. Our integration makes it easy to send comparative market analyses and other real-time reports to clients. Automate your workflows and connect all of your business apps with API Nation - the only purpose built integration platform for real estate. Replace clipboards and unreadable handwriting with Spacio’s sign-in solution for open houses. With our integration, continue your lead follow-up with our e-Alerts and other communication suite. Zapier helps connect your apps, and now integrates with BoomTown. Create Zaps that import leads from sources like Facebook or Google Sheets, and more. Have your leads stored in a Google spreadsheet? Now you can bulk import leads from Google Spreadsheets into BoomTown’s CRM. Additionally, each new row you add will automatically create the lead profile in BoomTown. Generating leads with Facebook Lead Ads just got easy. Each prospect captured through Facebook will automatically send the lead record into BoomTown’s CRM. Don’t worry about importing leads each time you advertise anymore. Have your leads stored in a Excel sheet? Now you can bulk import leads from Excel into BoomTown’s CRM. Additionally, each new row you add will automatically create the lead profile in BoomTown. Generating leads with Google Forms just got easy. Every time form data is submitted, it’ll create the lead in BoomTown, so you don’t have to pipe over the information. Wufoo forms are a great way to capture information from leads. But what’s less convenient is organizing and importing the lead info. With this integration, each Wufoo form completion will create a lead in BoomTown’s CRM, so you don’t have to. Is your list of contacts disorganized between your Google account and CRM system? Now, when you create a new contact in Google Contacts, you can have the information automatically imported into BoomTown. Turn contacts from Office 365 into leads. Have them automatically imported into BoomTown with all the valuable data you’ve collected, so you can easily reach out and begin marketing. Automatically send leads into BoomTown from Gravity Forms. Anytime you’re generating leads and capturing valuable information, our Zapier integration will instantly create the lead profile inside the CRM, saving you tedious work. Turn contacts from Full Contact into leads. Have them automatically imported into BoomTown with all the valuable data you’ve collected, so you can easily reach out and begin your follow-up. Turn contact records from Constant Contact into leads. Have them automatically imported into BoomTown with all the valuable data you’ve collected, so you can immediately reach out to them with ease. Do you use MailChimp to send newsletters and other emails to your prospects? As you grow your mailing list, easily add them as leads in BoomTown with our Zapier integration. Everything is done automatically, so you don’t have to hassle with imports. Keep your systems synchronized in real time. RealSynch connects your business software, so you can reduce multiple logins, avoid re-entering data, and keep track of all your leads. Everything is designed with conversion in mind.